Maryland Separation Agreements Lawyer | Alan L. Billian, P.A. When it comes to divorce, one of the most difficult things is splitting a family unit into separate parts. It’s more complicated than drawing a line in the middle and calling it even. However, a well-crafted separation agreement can make a big difference both for your daily life and the future divorce proceedings. As separation agreement attorney in Maryland, Alan L. Billian, P.A. helps couples negotiate the terms of separation in a friendly and peaceful manner. Located in Owing Mills, we serve clients in Baltimore, Reisterstown, Catonsville, Ellicott City, Glen Burnie, Annapolis, Columbia and many other locations throughout the state. provisions for health insurance, loan payments, etc. A separation agreement doesn’t void the marriage, it simply helps each spouse recognize their portion of assets and responsibilities that used to be shared. If you’ve spent several years together with your spouse, it’s likely your lives and daily activities revolve around each other. You also probably have children, property in both of your names and loans both of you co-signed. Now that you’ve decided to permanently or temporarily split, who is responsible for what? Who is paying the utility bills? Who is staying in the house? Who is driving your son or daughter to soccer practice? Having all of this in writing means you have a plan and don’t have to constantly call each other to coordinate things. You are planning to divorce. In Maryland, voluntary 12-month separation is the only ground for no-fault divorce. You are taking a break in your relationship (a separation agreement can be revoked if you decide to reconcile). You and your spouse are not on the best terms. Keep in mind that if you move out without any sort of agreement, the courts may view it as abandonment. A separation agreement is achieved through mediation, which means both parties and their Maryland separation agreement attorneys sit down together to arrive at a mutually satisfying divorce settlement. Having a divorce lawyer involved is essential, because you want to draft an agreement that will also stand in court during your divorce. Just because the two of you agree on something, doesn’t mean the court will find it valid or fair, especially when it comes to children and divorce. An experienced family law attorney will advise you on which provisions might be questioned by the judge during a divorce hearing, and how to avoid it. Through negotiation and reasonable compromises, we help many clients arrive at win-win separation agreements that go through court with minimal amendments. If either spouse is unwilling to cooperate, the particular matter is then settled by the judge, which means you have to go through litigation. 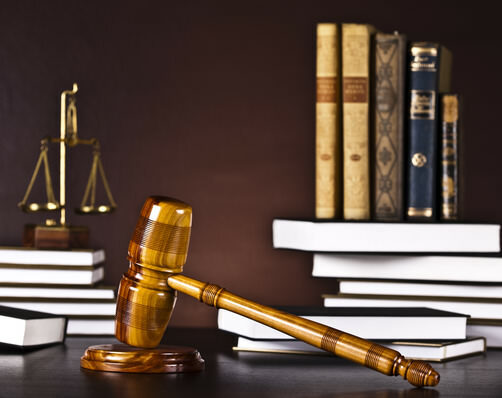 If it comes to litigation, you can also rely on our Owings Mills, MD divorce attorneys to provide you with proper representation during your Maryland divorce trial. Call us or request a free 30-minute consultation and get professional legal advice.